You play as an assassin, on a mission to kill the tyrant king. To make sure everybody can play this game the way he/she did back in the 80's, the game supports the following 31 graphic modes. Good luck, and hope I'll get to play it some day... haven't played the original, so entire new game for me... in whatever format I choose to play... I'll probably change through most of them all the time. I'm curious about your graphic modes - are you going to actually having all these different images per scene, or one master scene and using software techniques in-game to dither / change palette etc for each mode? The former. Goes for the BG's, the regular and Text Window GUI's, all objects and all inv item. The game also writes a file to keep track of your choice in case you don't want or forgot to save. That way you don't have to choose each time you start the game. Of course it would be even better if it had an all-new undithered EGA graphic mode, but that would probably be a bit too ambitious. Either way, this looks like it will be the definitive version of this game. I'm absolutely speechless. All the best with this amazing project! Sweet, though I've always been partial to the PC-88 myself. King's Quest was released in 1983. As a matter of fact, the first four King's Quest games were all released in the 80's. 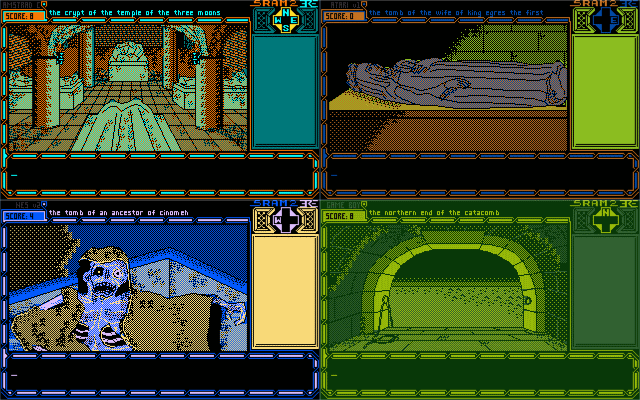 All of which had EGA graphics, and the fourth one which was released in 1988, didn't even have support for the colourburst mode on CGA graphics cards. EGA is very much an 80's thing. But I understand that this game can only have 4-colour modes. And it's still awesome either way. Correct, there were indeed games with more than just 4 colors in the 80's. I just did set the limit to 4 cause (a) I simply love the 4-color ones and (b) my base mode was DOS CGA v1. 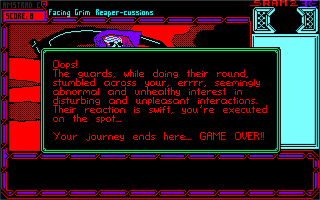 Maybe not EGA, but an all-new undithered mode using the best palette for each room would be rather neat. I love how this looks Arjon! arj0n, glad you finally announced your 'little' side-project to the epic 'Treasure Island'! With lately being more and more interested in different, more innovative forms of adventures, I'm definitely looking forward to Cinomeh's Revenge. Curious to know what SRAM actually means? Is it an acronym? 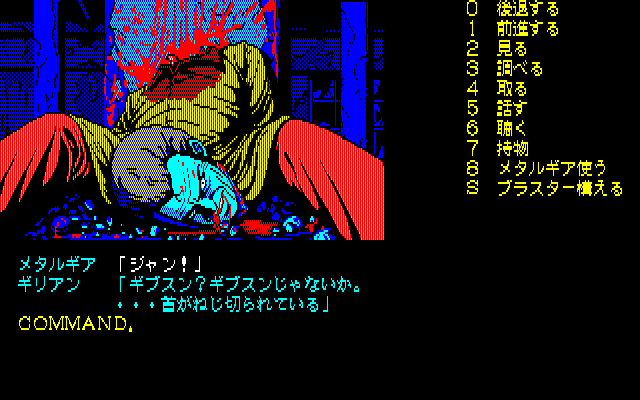 I'm in love with the palettes and dithering. Looks amazing! Go go text parser! jmjm - this thread hasn't been posted in since December! We have a rule (please review them!) about not bumping threads that haven't been posted to in over 90 days! arj0n - if you want to post an update, please do so soon or I will have to [sadly] lock this until you have an update ready!